1. At the outset of your professional life, was the Foreign Service something you were set on, considering, or did you have other career paths in mind? 2. I know things have probably changed quite a bit from when you started back in 1981, but if you could, please give me an idea of what the process was like when you were going through it. What were some challenges or things you seriously had to consider, if any? The bureaucratic nature of the Foreign Service official hierarchy is what I found most challenging/irritating throughout my so-called “career.” (Some will say that this bureaucratic situation has gotten worse since the dissolution of the USIA, United States Information Agency -- created in 1953 to carry out public diplomacy, as it became labeled by the late 60s -- into the State Department after the Cold War.) As a USIA officer, I had the privilege of working with talented, enthusiastic (and, thank God, rather eccentric) colleagues whose dedication to our country was not limited to “getting ahead” in the Washington/embassy bureaucracy -- or flattering a politically appointed ambassador or visiting VIPs. 3. When you finally were appointed to the Foreign Service, what were your expectations? Were there specific places you hoped to serve versus where you ended up serving? Did you immediately know that you choose the correct line of work, or was that epiphany yet to come? 4. Out of all the appointments you served, which was most rewarding/impactful to you, the people you served with, and the country or domestic station in which you worked? 5. Towards the end of your Foreign Service career, what was the retrospective you took? Would you have done anything differently on your career path? I don’t think so. And, as I look back, I’m relieved that I left the Foreign Service in 2003 to express my opposition to the planned very stupid, brutal invasion of Iraq. 6. Was the transition to academia after your career a pretty natural progression? 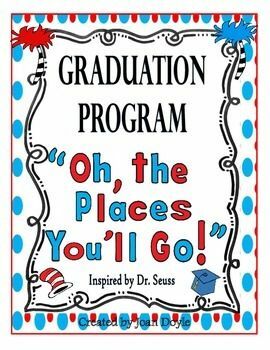 You have graduated from prestigious institutions, written a great deal of well received and oft cited scholarly works, but have you always seen yourself eventually teaching the next generation of leaders, or was authorship and being professor a later decision? Also, your blog is fantastic, but what compelled you to start a blog? I enjoy teaching, but the danger of this profession in America is that its practitioners begin to sound like a broken record (especially to themselves) after a few years in the USA tenured-obsessed “education industry.” Indeed, teaching itself is being left to under-paid adjuncts.” https://www.theguardian.com/commentisfree/2015/jun/22/adjunct-professor-earn-less-than-pet-sitter.) Re my blog, it’s a form of discipline -- I want to keep up with the news about public diplomacy/propaganda. 7. One of my goals, and I guess my dream, is to serve in the US Foreign Service. What advice would you give to someone like me, who will be graduating soon, who has these lofty aspirations, and who intends to take their Foreign Service Officer Test in the coming year? I have no advice, but wish you good luck. In “preparation” for my FS exam (in the late 70s) I made sure to read The New York Times every day. Also, during the oral/role-playing part of the exam, I sensed that what was expected from the examiners (sitting along the wall in the back of the table where the Being-Tested were being "tortured") was not “brilliance” but “collegiality.” To put it bluntly: How will this guy/gal behave in a staff meeting? Will h/she “show off” or try to make his/her point clearly and unpretentiously? But, re the exam, maybe times have changed. 8. Lastly, what would you say was the most helpful thing to the success of your career? Was it education, networking, connections, etc.? As far as resources and networking, can you make any recommendations on literature I should pick up? Are there any specific individuals I should look into, or that you can refer me to for more information? *9. (Not a question that is, per say [sic -- JB] part of my interview, but more out of topical interest) You served in Russia during a fairly tumultuous time. Could you give me a brief overview of what that was like? i.e.- interesting/compelling moments. Again, this can be very brief. Russia in many ways is a universe unto itself. It cannot be superficially “explained” or understood, especially by people who have never lived there or tried to learn/speak the challenging Russian language. Perhaps I should know (or, more accurately, not know), having dedicated much of my life to the well-known Churchill quotation, "Russia is a riddle wrapped in a mystery inside an enigma." Sometimes, having grown up overseas, I feel the same about our very own, Nicholas, beloved country. Donald M. Bishop, "Quotable: Lamb and Franco on strategic communications in the Long War,"
Strategic communications is another capability area important for irregular warfare. The reason is simple: without some element of popular support, it is difficult for terrorists to survive and impossible for insurgents to do so. Hence, every effort must be made to convince the population that any support—even passive support—is not in its interests. While this line of reasoning seems straightforward and is supported by experts on irregular warfare, it was not a proposition embraced by senior leaders. Many acknowledge the disastrous implications of negative propaganda and perceptions—for example, often citing the consequences of Abu Ghraib or rhetorical missteps such as the expression “axis of evil”—but only a handful give the importance of U.S. strategic communications serious attention in their writings: Secretaries Rice, Rumsfeld, and Clinton and Under Secretary Feith. There are several reasons for this. Americans are prone to believe that actions speak louder than words and that success generates goodwill while failure does the opposite. Generals believe that defeating the enemy will encourage friends and that failure to do so emboldens enemies and inclines fence-sitters to lean toward the enemy. The diplomat’s equivalent of this is to argue that policies generate support or resistance and no amount of packaging or “spin” will fool our foreign counterparts. Beyond these generalizations, there are other objections to putting too much stock in managing communications. U.S. foreign policy elites tend to believe public opinion at best complicates a steady hand on the strategy tiller. In turn, the public distrusts any U.S. Government management of information for fear that it will be twisted and used in attempts to control the body politic. Overall U.S. culture is not comfortable with managed information at all, preferring a “free market place of ideas” without interference from governmental institutions. Moreover, there is a wide consensus that strategic communications is not an American strength. Some question whether it is even possible to have a strategic communication strategy without a larger overarching strategy for the wars in Afghanistan and Iraq. Others believe we do not have the sociocultural knowledge needed to assess our target audiences and message effects and that we are too self-absorbed to focus on foreign audiences (suggesting, for example, that the White House tends to confuse strategic communications with the President’s public affairs effort). Some also argue that American moralism and unilateralism incline us to discount the value of strategic communications. Americans tend to believe they and their government are different and better and that our motives are transparent and thus easily discerned from our actions. Furthermore, many believe foreign cultures embrace double standards that make it impossible for the United States to compete in strategic communications. Utter lack of restraint on the part of terrorists is seen as justifiable frustration or evidence of U.S. weakness, whereas a rare case of excess force on the part of American forces is seen as typical and evidence of massive arrogance and evil intent. In other words, some suggest foreign attitudes are so entrenched that attempts at persuasion are hopeless. For all these reasons, we tend not to do strategic communications well—something more than 15 major reports are in unanimous agreement about. Virtually all those reports conclude the U.S. Government does not have a strategic communications strategy worthy of the name, lacks the expertise to execute a strategy, has no dedicated organization for doing so, and expends far too little resources to mount a serious strategic communications effort. Constant dollar spending on public diplomacy has declined since 1994 despite the bump in spending following 9/11. By 2007, the United States was spending about what France did on public diplomacy. DOD spent far more on television and newspapers for U.S. forces than it spent on military information support operations (formerly psychological operations). On top of all that, the three primary strategic communication disciplines in the U.S. Government—public affairs, public diplomacy, and military information support operations—feuded with one another to a dysfunctional extent. Senior public affairs leaders torpedoed the Office of Strategic Influence in the early days of the war on terror. After that, most of the effort was contracted out and earned a reputation for spotty, if not deplorable, performance. Even so, as victory proved elusive in Afghanistan and Iraq, DOD increasingly emphasized the importance of strategic communications. The 2006 Quadrennial Defense Review emphasized that “[v]ictory in the long war ultimately depends on strategic communication by the United States and its international partners.” DOD, and according to some accounts the CIA as well, spent years trying to encourage the Department of State to take the lead and mount a better strategic communications effort. By 2009, however, the lack of progress had disillusioned some DOD leaders. For example, the Chairman of the Joint Chiefs of Staff was fed up with the “cottage industry” that had grown up around the strategic communications mission. Admiral Mike Mullen published an article that argued the United States should just communicate its strategic intent through its actions and normal coordination processes. Mullen stated that if the United States made good policies and ensured its actions were consistent with those policies, it would not need a special effort to sell its image aboard. He cited the Great White Fleet’s voyage around the world and the Marshall Plan as examples. Americans could simply show up and do the right thing because it is, “well, the right thing.” Admiral Mullen’s approach was quite consistent with historic American norms and no doubt resonated with many Americans who believe actions speak louder than words and do not require a strategic communications bureaucracy for their interpretation. "Because terrorists . . . can further their agenda in part by offering a hostile narrative about the United States, we need to emphasize strategic communications more rather than less. It is true that the American example is a great one and that the world is often indebted to the United States for its expenditures of blood and treasure. But it is also true that our actions and intentions, even when strategically and morally sound, will not always be easily recognized as such by foreign audiences, which is why the image of a great nation needs its custodians, and those custodians need a good organization to support them. Secretary Gates and CIA Director Leon Panetta finally found a willing partner in Secretary Clinton, who made strategic communications an area of emphasis. She argued the ideological battle is slow and incremental but important. It drove her crazy, she stated, that “we were losing the communications battle to extremists living in caves.” She had her staff develop a strategy and a new Center for Strategic Counterterrorism Communications. Despite some initial resistance from White House staff, President Obama was supportive, and Secretary Clinton got the center and her strategy off the ground. While Clinton’s initiatives represented progress, the body of expert opinion argues the United States still has a long way to go to improve performance in strategic communications. Many argue that the independent U.S. Information Agency that existed during the Cold War needs to be resurrected. 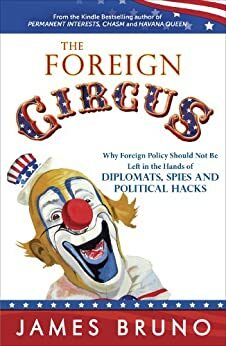 Ambassador Christopher Hill demonstrates the classic Foreign Service Officer attitude while acknowledging the need to do better: “greater public diplomacy became the cure for why the popularity of the United States had fallen so precipitously during the time after the Iraq invasion. 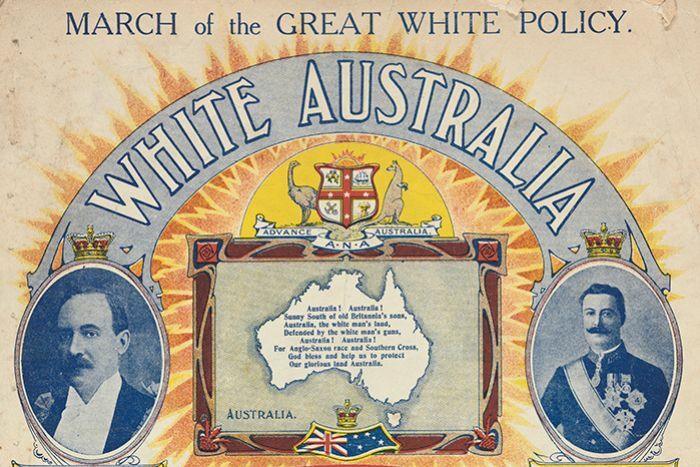 Even though it was the policy that needed improvement, there was no question that our diplomats needed to do a better job of explaining and reaching out to nontraditional audiences” (189–190). Saudi Arabia is not the first country you think of at the word "comedy." But a YouTube sketch show might be changing that. Led by Fahad Albutairi, the first Saudi comedian to appear professionally onstage in Saudi Arabia and the Gulf, La Yekthar (colloquially, "put a lid on it") is a comedy show that touches on socio-political issues within the kingdom, from corruption to unemployment. Despite Saudi Arabia's conservative media environment, La Yekthar has escaped any censorship thus far, and continues to grow in popularity with each monthly episode. The most popular episode drew over five million hits, and the show's success has been slowly but surely changing the comedy landscape. “We got sponsors and signed on Google in Dubai as a partner channel,” says Albutairi, adding that the little project quickly spawned a franchise and gained fans as wide-ranging as the Saudi royal family and Wes Anderson. La Yekthar is currently one of the most successful Saudi YouTube channels and enjoys a huge following across the region, particularly in Egypt. With the subtitling of the first season in English, it is now reaching more international audiences and promoting an image of Saudi Arabia beyond mainstream media narratives, as well as introducing audiences to the unique brand of Saudi humor. All episodes are currently on YouTube. NEW YORK — The United States and Russia ended any pretenses Thursday of their cease-fire for Syria remaining in force after days of increased violence and the Syrian military's announcement of a new offensive in Aleppo. Syria ceasefire: Where do things stand right now? Reports of an intense bombing campaign targeting several areas in the rebel-held part of Aleppo city signal an end to the fragile ceasefire between the Syrian government and rebel groups. The war in Syria is five years old and shows little sign of abating. The ceasefire was a small step forward in a conflict which continues to escalate and draw in more actors. Does the recent ceasefire provide hope of a resolution, even if it failed? What conditions did the ceasefire include? 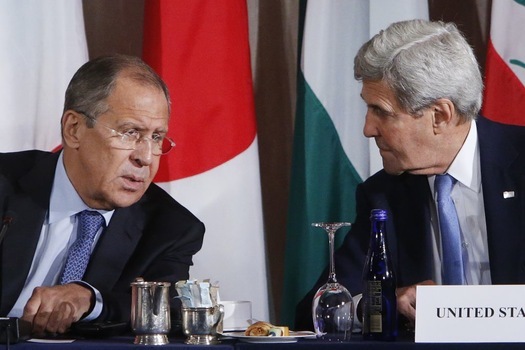 Russia and the US brokered the ceasefire, which began on September 12. It included rebel groups and government troops abiding by a cessation in the conflict. The ceasefire did not include Islamic State (IS), otherwise known as Daesh. It was hoped that if the ceasefire was a success, the two sides could unite to fight them. The two sides had said that if it held for seven days, it would be followed by the establishment of a Joint Implementation Centre for both countries to co-ordinate the targeting of IS and al Qaida-linked militants. As is often the case in a broken ceasefire, all parties are blaming each other. On Monday, the opposition reported 254 violations by government forces and their allies since the truce started on September 12. Syrian state media said there were 32 violations by rebels on Sunday alone. The Syrian government declared the ceasefire over on Monday, blaming the country's rebel groups for undermining the agreement. The US accused Syrian president Bashar Assad's government, aided by Russian planes, of striking an aid convoy in Aleppo later that day which killed 20 people. Assad has rejected US accusations that Syrian or Russian planes struck the aid convoy or that his troops were preventing food from entering the city's rebel-held eastern neighbourhoods, blaming the US for the collapse of the ceasefire. In an interview with the Associated Press in Damascus, Assad also said deadly US air strikes on Syrian troops last week were intentional, dismissing American officials' statements that they were an accident. Is there hope for a longer ceasefire? US secretary of state John Kerry has proposed the grounding of aircraft to protect aid convoys, saying: "To restore credibility, we must immediately ground all aircraft flying in those key areas in order to de-escalate the situation and give a chance for humanitarian assistance to flow unimpeded." Whether the Russian and Syrian side of the negotiating table will agree to this is unknown. After days of increasing violence in Syria, Kerry and Russian foreign minister Sergey Lavrov were set to hold more talks on Friday in a bid to try to resuscitate the ceasefire. But after three days of private and public diplomacy on the sidelines of the United Nations General Assembly, Kerry bluntly told reporters: "We can't go out to the world and say we have an agreement when we don't." Some collapsed ceasefires increase hostility and some open the door for more efforts to end conflict; it is too early to tell what the outcome will be for Syria. President Ilham Aliyev of Azerbaijan is poised to execute a power grab that would extend his presidential term from 5 to 7 years, give him the authority to dissolve parliament and handpick a vice president. These measures are designed to ensure dynastic succession and keep the Aliyev family in control indefinitely. Wanning Sun, Professor of Chinese Media at UTS [see - JB], has warned in wake of media reports about Chinese donations that the Chinese-Australian community has not been more alienated in 20 years than they are now. "Australia's Chinese community hasn't been more alienated since Pauline Hanson's first maiden speech 20 years ago than it is today. The failure to engage with the Chinese diaspora is all the more worrying given China is actively pursuing this group as a potential instrument of its own public diplomacy agenda. Along with the reporting of the Mack Horton vs. Sun Yang stouch, she warned Australian and Chinese-language media in Australia are engaged in a war of words that can threaten social harmony. 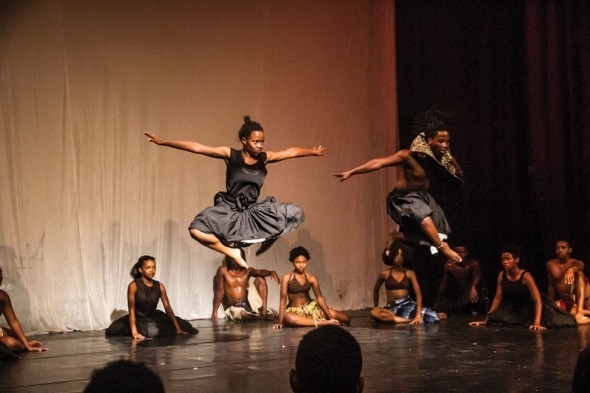 Mophato Dance Theatre, the US Embassy, Gabz fm and Battery Dance Company from New York will treat different dancers and youth with spectacular performances on Saturday at Maitisong. According to Maitisong administration officer, Boitumelo Selelo, the event attracts youth from different parts of the country that will be inspired by their peers from Mophato Dance Theatre and Battery Dance Company. She added that the event would also be part of a cultural exchange between the two countries through dance. “Dancing To Connect is an award-winning arts educational programme developed by Battery Dance Company, with a proven track record of giving participants the key to unlock their creativity. Public diplomacy officers, US, international foundations, government and ministries validate its success across Europe, Africa, South America and Asia,” she said. Selelo added that dancing to Connect had been implemented in 45 countries globally. She said the programme made a debut in Botswana on Monday with a workshop that attracted about 100 youths. He said the workshop would end with a showcase on Saturday. The event will feature performances by Mophato Dance Theatre, Battery Dance Company and some of the workshop participants. It will start at 7pm and is free of charge. At a discussion about Saudi Arabia’s Vision 2030 in London recently, I found myself engaged in a conversation with young Saudi female students. The conversation mainly revolved around how they wanted to move to Dubai after completing their degrees in the UK. Surprisingly, it was not the first time this subject had come up during my discussions with young Saudi women. 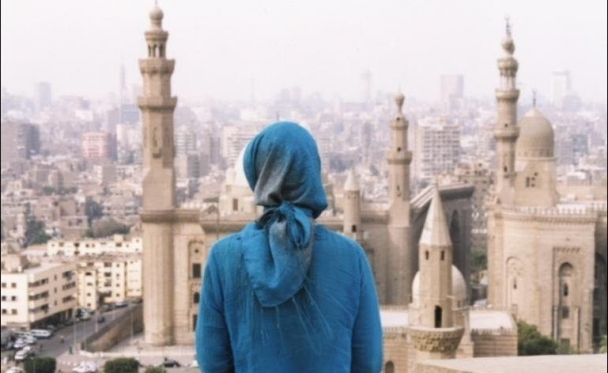 Indeed, the vast majority of Saudi women, after graduating from universities abroad, find themselves facing two choices: either to return home to work and be subject to social and regulatory limitations, or to take the harder choice and move elsewhere. It is mostly Dubai, due to its proximity to home. I find this alarming, given the generous investment by Saudi Arabia in providing quality education for women in the U.S. and Europe, the premise of which is to get them back home to take advantage of their new expertise, and in essence, drive national development. Saudi Arabia’s fund for women to study overseas has become massive over the course of the last decade. The consequences to the Saudi economy are dire, because the billions spent in educating women will be another country’s gain. The total average annual sum spent by Saudi Arabia’s government on each female student is estimated to be between $35,000-45,000 a year. Looking at the figures released by the Ministry of Higher Education, which shows that women represent 26 percent of the number of students studying abroad, this means that Saudi Arabia has spent in excess of $50 million on women’s overseas education during the last 10 years. There are various reasons behind why young Saudi women think of building a career elsewhere, instead of returning to their homeland. But there is one that stands out. Although Saudi Arabia has taken the (some might say) liberal step of educating its women abroad, there have been no accompaniments to the initiative in terms of relaxing social and regulatory restrictions back at home, much of which they enjoy in the West. The consequences to the Saudi economy are dire, because the billions spent in educating women will be another country’s gain. The current situation of women’s rights is characterized by a status quo, and although there have been some forward thinking steps in favor of women back in Saudi Arabia, these are insufficient to meet the aspirations of a new generation of women in terms of professional development and equal opportunities found in leadership positions. The social restrictions are also an issue for Saudi women who have become used to a certain culture in the West. If they returned home, they would face a restriction of movement due to a ban on driving as well as barriers on access to justice, and family pressure caused by a male guardianship system. It has left some of the most educated, talented, and entrepreneurial women with no choice but to move elsewhere, away from these limitations. However, investing in girls’ education was a smart move by Saudi Arabia, in order to build a human capital that drives a sustainable future for economic growth. Nevertheless, continuing to provide quality education without enacting any actual reform on the most pressing issues facing women in the country, will result in Saudi Arabia losing the "war for talent.” Therefore, it will massively limit the benefits that would otherwise come to the country from what is considered a generous and costly project. Talent can shape the economic and social progress of global cities, and Saudi Arabia has an ambitious vision to go global. One way to achieve that is to address barriers restricting women, by developing further policies that assure gender equality, and by creating opportunities that allow them to fully contribute in the national development, while also embracing more modern social values that are commensurate with a young generations intellectual and societal expectations. This is the only way to keep Saudi Arabia’s arsenal of highly skilled young women from driving other countries' innovations and economies. CPD Editor's Note: This post originally appeared on Al-Arabiya English. Donald M. Bishop, "Classic Quotable: George Allen on the limits of Public Diplomacy," The Public Diplomacy Council; see also. One of the great American fallacies is the notion, prevalent among people in all walks of life, that all we need to do is to explain ourselves, our policies, and our way of life to foreign peoples and they will love us--or at least will understand and sympathize with our point of view. I submit, however, that this point of view is not realistic, and those in the academic world and other professionals in communications should be tough-minded enough to face certain facts squarely and realistically. While I was director of the United States Information Agency, I was often asked, usually by Congressmen, to explain why the Voice of America seemed to have difficulty in getting the American story across to the people of foreign countries. "It should be very simple," I was told. “All you have to do is to explain that our American way of life, including our democratic principles, our respect for human rights, and our private enterprise has developed in America the highest standard of living in the world. Everybody admits that not only the upper strata but the common man in the United States has more of the good things of life-more shoes and clothes and leisure time and music and vacations and opportunity for advancement than the people of other countries. Why can’t you just keep pointing that out to them on [the Voice of America] VOA? The job should be easy." The heavy responsibilities of the United States in the world today require us to take positions which frequently please nobody. Communications techniques are important, but there is danger in expecting too much of them. I was once told in the State Department that only the Voice of America could win the Berlin dispute! There is a tendency for college professors to claim too much in their courses in the growing field of communications, or psychological warfare as it is sometimes improperly called. Many universities are rapidly developing studies, and even faculties, in this specialized field. Its importance is undoubted, but if those in the academic world and we in government overstate our case for communications, we are likely to make trouble for ourselves. Propaganda itself can do little to remove the basic problems of the have-nots, or the national rivalries of Pakistan and India, or the racial animosities of Africa. Whatever it can do is a long process, like education, and is not likely to avoid a takeover by a Castro in Cuba. What we can do is to put forward as honest, objective, and truthful an information program as God gives us to see the truth, make it available to as many people as possible in comprehensible terms and by the most effective media, and rest our case with the common sense of mankind. I suppose one must have a mystic faith, as Jefferson did, in the ability of the common man to make a right decision if given adequate information and freedom of choice. If one does not have this faith, I doubt that he should be in the communications field. Let me repeat once more, however, that we must be realists. Berlin will be saved from Soviet aggression by a combination of forces, including political, economic, psychological, and military--the latter being possibly the most significant in our present sad state of international chaos. Headline: The Cold War is over. The Cyber War has begun. Russian officials deny meddling in U.S. politics, but it’s clear from some of their comments that they think the United States shot first in this duel of political destabilization. This payback theme was clear in Russian hackers’ disclosure this week of information stolen from the World Anti-Doping Agency about Olympic gymnast Simone Biles and tennis superstars Serena and Venus Williams. The Russians have been irate about the exposure of their own doping, which led to disqualification of many Russian Olympic athletes. And so — retaliation, in the disclosure that Biles and the Williams sisters had been given permission to use otherwise banned substances. If you’re a Russian with a sense that your country has been humiliated and unjustly maligned since the end of the Cold War — and that seems to be the essence of Putin’s worldview — then the opportunity to fight back in cyberspace must be attractive, indeed. How should the United States combat Russian cyber-meddling before it gets truly dangerous? I asked a half-dozen senior U.S. officials this question over the past few weeks, and I’ve heard competing views. The Defense Department’s cyber strategy, published last year, argues that the United States should deter malicious attacks by a combination of three approaches: “response . . . in a manner and in a place of our choosing”; “denial” of attack opportunities by stronger defense; and “resilience,” by creating redundant systems that can survive attack. Gathering Clouds Threaten Trudeau's "Sunny Ways"
A changing culture in diplomacy? Does Africa really need a new brand? Has Israel defeated the BDS movement? What can Trump and Clinton learn from diplomats?